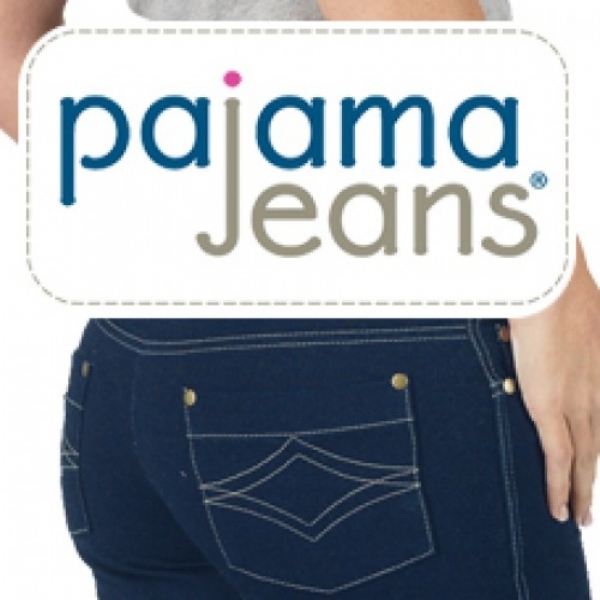 Pajama Jeans where style and comfort meet! Pajama Jeans where style and comfort meet! Why give up style and comfort, when you can have both with Pajama Jeans. Made of the exclusive and innovative Dormisoft denim whose proprietary blend of cotton and spandex moves and stretches with you for a perfect fit. They may feel like PJs feature European styling with contrasting stitching, boot cut leg and brass rivets. No zippers or buttons - you won&apos;t believe that jeans could be so comfortable. Machine washable. I feel totally comfortable wearing these out during those cold windy days. They look good and feel great. Since these jeans have been in my closet, I don&apos;t wear any of my others. They just don&apos;t compare for comfort. I just wish they came in long length in the legs. I had to order two pair and add length with the extra pair. I am used to doing this with my jeans because of my long legs but it is really nice when I can buy and wear them like they are. I have been buying these pajama jeans for years. I love them and wear them all of the time. The jeans are very soft, can use for sleeping and be very comfortable. Can wear them out to stores and no one knows the difference in regular jeans, they have a great fit. I wish all the pairs they made were on sale. I have them in the skinny leg version in black and brown as well as denim (But had to pay the full price + shipping for them). They wash well and feel warm, especially in NY cold fall and winter seasons. I love the pockets as well. I wish they came in small and not just medium. Trust me, I teach at a high school and the kids even like them and do not think they look like sweat pants at all. Much dressier then sweats. I loved this product, I can not wear jeans with having my kids they just don&apos;t sit right so these were given as a gift and I LOVE THEM! I have had them for a year now come 2014 christmas and I am already asking for a new pair! I would ad have recommended them to a lot of people! I wish this product fit but I went by the suggested measurements and ordered a large but they are way too big for me. I will try again but I&apos;m not sure if I need a medium or small. They seem like they will be very comfy as the fabric is very soft and stretchy. This was a gift so we will have to wait a while before she will know how the jeans work. wear as often as I can. These pants are comfortable to wear around the house but look nice enough to wear out. I&apos;ve had these before and find them flattering and comfortable, and warm. My skin tends to get dry and ichy in the winter with regular jeans, but not with the fabric these are made from. The style has changed a bit. You can&apos;t really use the front pockets anymore. They are too small to put your hands in! but, they still feel soft and comfortable. These are so comfortable. I ordered the medium size first and they were too snug. Rather than return them, I gave to my adult daughter and she loves them. I ordered mine in a large and they fit great. I recommend that you wash them before you wear them. I was happy with the material and fit but the length was way off. They should be sold in different lengths for a better fit. Very comfortable and DH says they look great. I did like the fit. Wish I could have gotten shorter size.